The petitioner placed some alleged instances in which some voters found that when they cast their votes for a candidate, the votes went to the candidate of another party. LUCKNOW: The BSP's mayoral candidate from Lucknow, Bulbul Godial, today filed a petition in the Lucknow Bench of the Allahabad High Court demanding that the civic polls in the remaining two phases in the state be conducted using VVPAT-fitted electronic voting machines. Godial requested the court to hear the petition on the day itself, but the court refused his plea. The petition is likely to come up for hearing on November 28. Filing the petition for the BSP candidate, advocate S S Rajawat cited a 2013 judgment of the Supreme Court in support of the demand. The petitioner placed some alleged instances in which some voters found that when they cast their votes for a candidate of their choice in the electronic voting machine, the votes went to the candidate of another party. 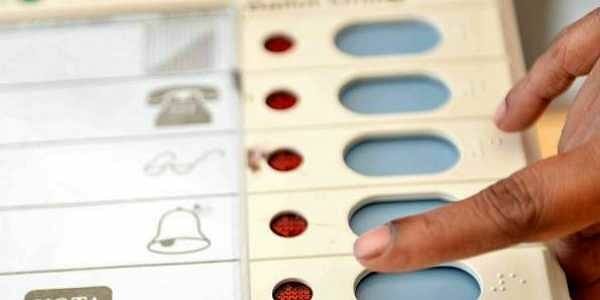 Pleading that EVM machine was also prone to the rigging, the petitioner demanded use of Voter Verifiable Paper Audit Trail (VVPAT) machines, which gives a proof to the voter as regard to the candidate to whom he cast vote.